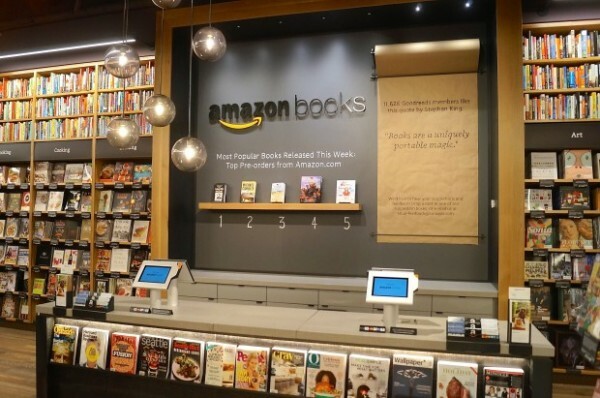 GeekWire takes us on a journey through Amazon's first 7,400 square foot bookstore. Jennifer Cast, one of Amazon’s first executives who recently returned to the company after a 13-year hiatus, isn’t surprised that the company is opening the full-fledged retail location — its very first — on Tuesday in Seattle’s University Village shopping mall. That vision is the core of Amazon Books, where Amazon is utilizing data and information from its massive online store inside a brick-and-mortar building that smells of printed paper and also features the company’s newest hardware products. Click here to view full article published on GeekWire.com.